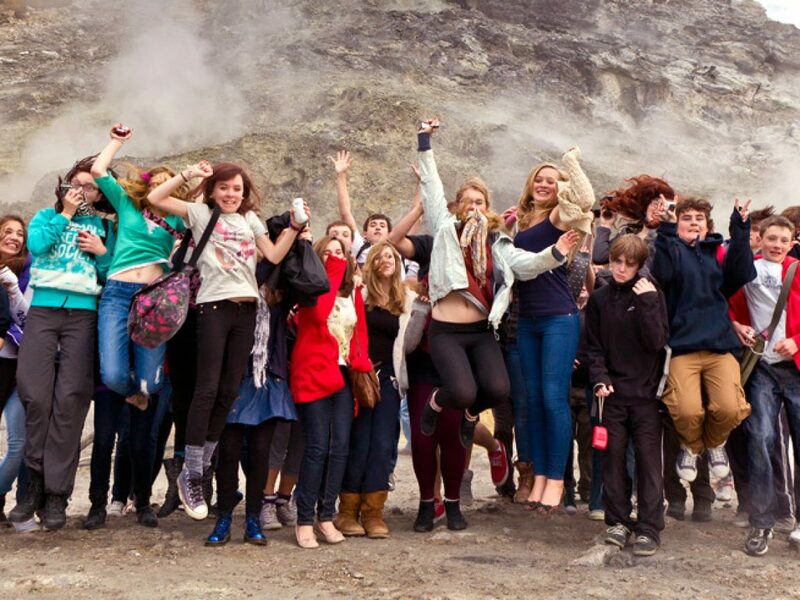 No two school trips are ever the same with Discover the World Education. Our Travel Specialists will work with you to decide what activities, accommodation and excursions are best for your group. 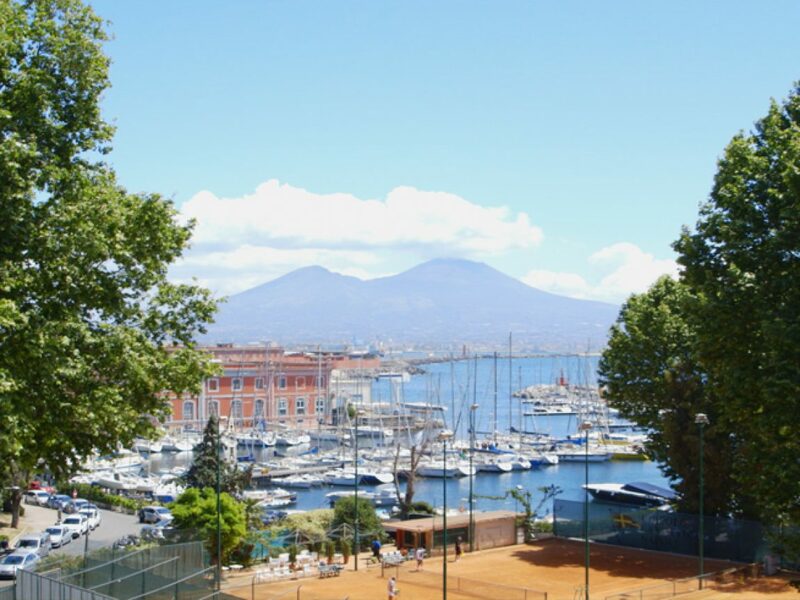 For study trips to the Bay of Naples, your group has the option to also add some time in Rome to your trip. This excursion can work at the beginning, middle or end of your trip. Talk to your Travel Specialist for more details. Fly from the UK to Naples and enjoy your first taste of Italian cuisine at your evening meal at your hotel. Feeling peckish already? Check out some of our Italian food favourites or talk to your travel specialist about creating a culinary itinerary in Italy. Take a scenic hike to Vesuvius’ summit to see solidified lava, pumice and tuff and witness sulphur-emitting fumaroles inside the crater vent. 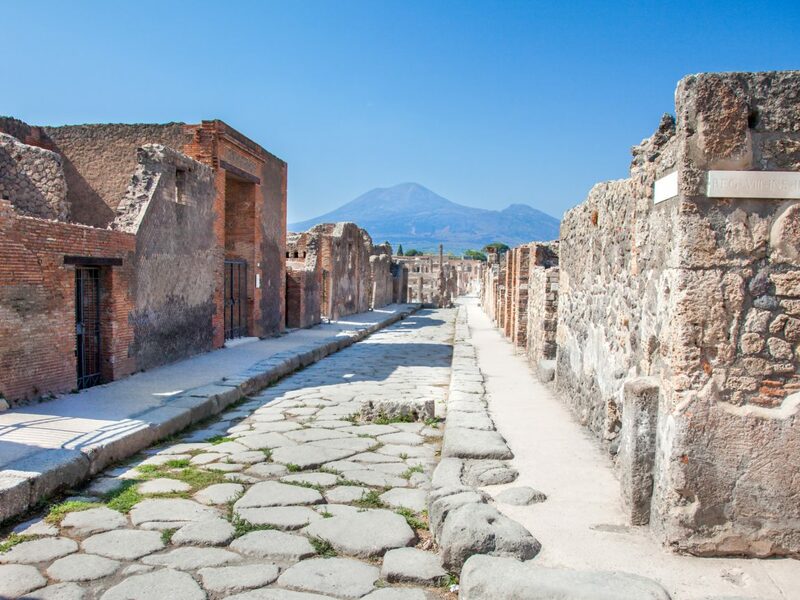 The city was buried in the eruption of 79AD, and preserved for all to see – the streets and villas illustrate how man and nature struggle to coexist. Catch a ferry ride to the Island of Capri, renowned for its spectacular views and coastal scenes. The stunning coastal landscape and limestone geology allows students an opportunity to observe the erosive power of the sea at work. 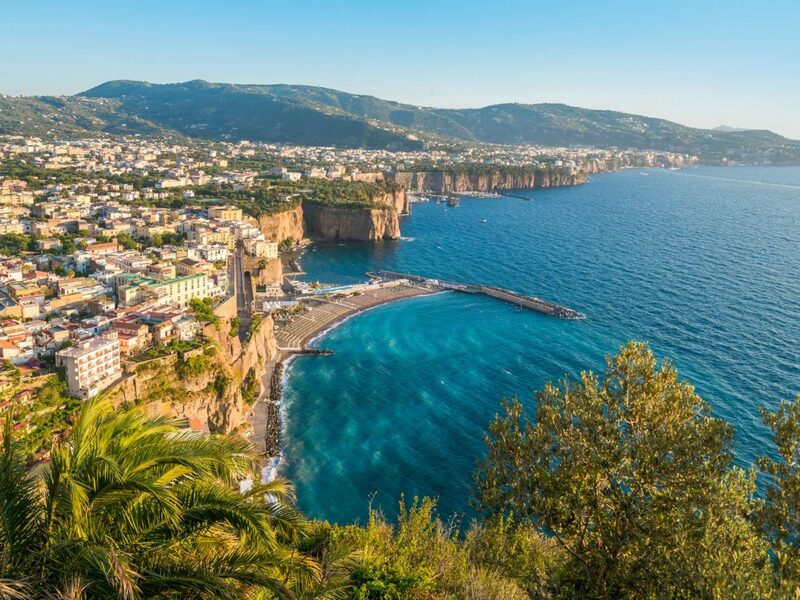 Private minibuses will whisk you up the mountain to Anacapri, where you can choose to take the chairlift to the summit of Monte Solaro, Capri’s highest point, for remarkable views around the island and the Bay of Naples. 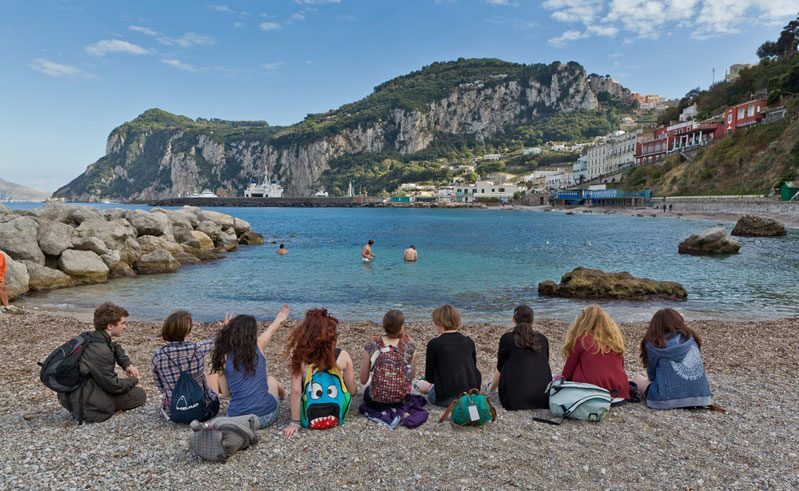 The minibuses will take you down Capri Town itself where you will see the designer boutiques among tiny streets that lead to the harbour. 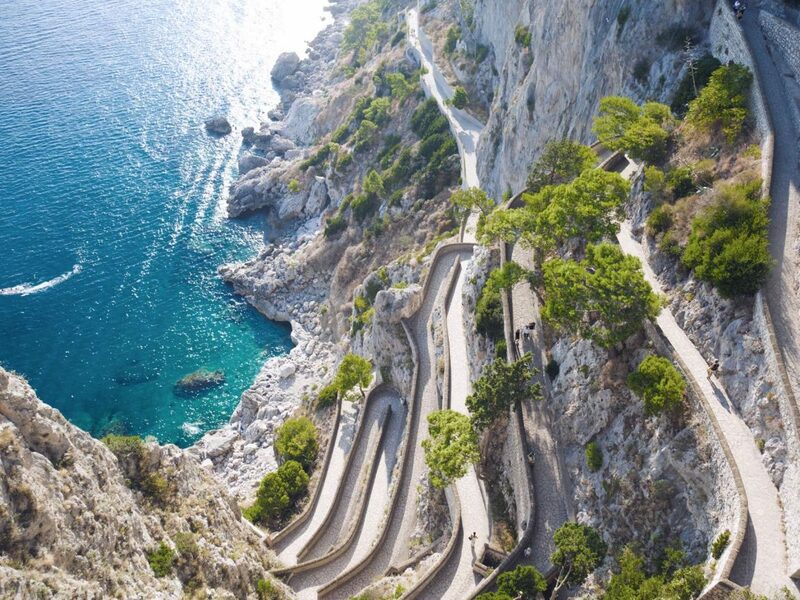 Drive the Amalfi Coastal Road, one of the world’s most spectacular highways. 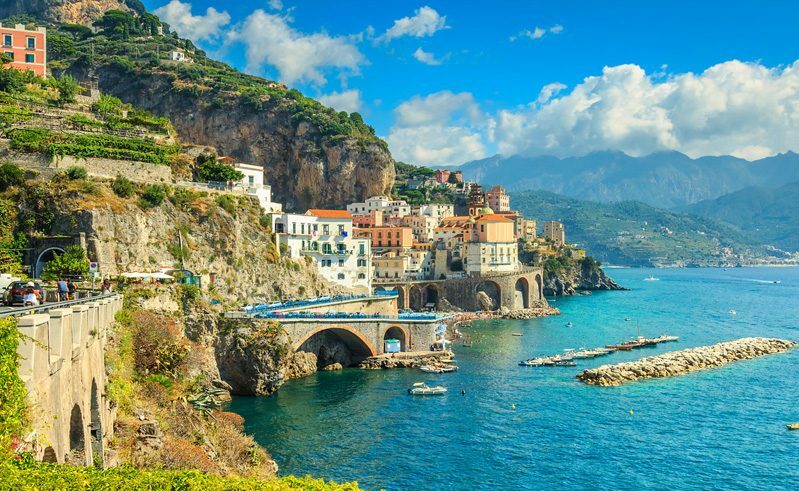 Dotted with small picturesque settlements situated on steep, rocky cliffs on the edge of the Mediterranean Sea, the Amalfi Coastal drive offers fantastic panoramic views and stunning examples of coastal erosion features. Herculaneum, a wealthy Roman town with many fine residential villas, destroyed by the same eruption that buried Pompeii. 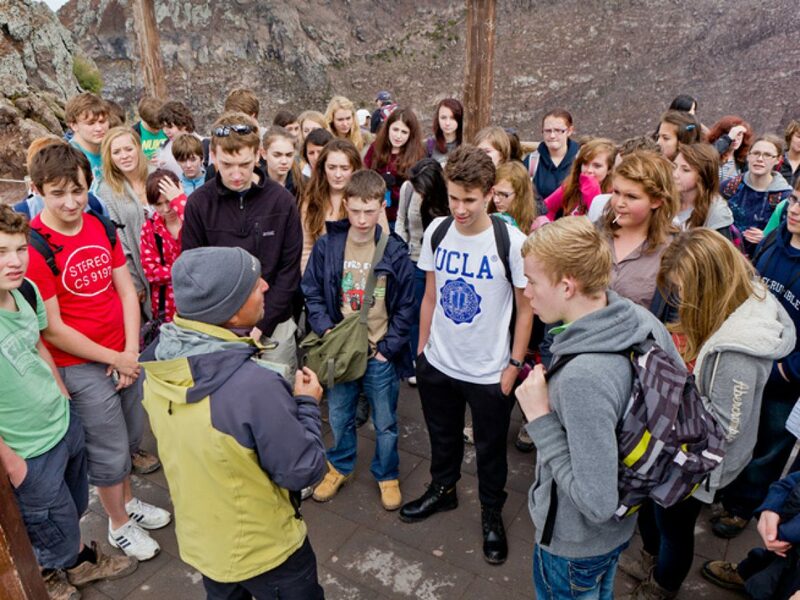 Your students will witness the lava and pyroclastic flow residues and see evidence of the devastation caused by the 79AD eruption of Mount Vesuvius. Get up close to volcanic activity at Solfatara, a shallow volcanic caldera which features bubbling mud pools and the sulphurous fumes of fumaroles. 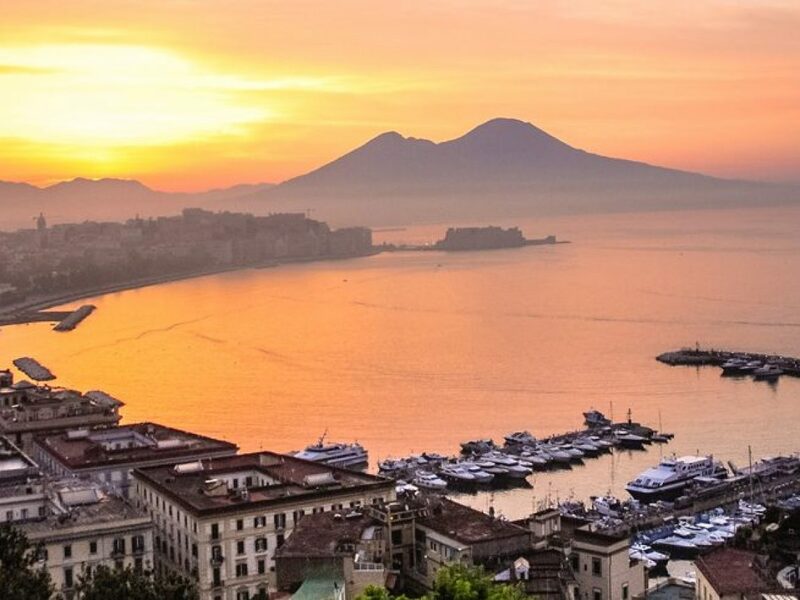 Enjoy a guided tour of Naples’ city centre, millennia of development have resulted in an eclectic architecture and fascinating urban landscape. Visit the Naples Underground caverns or the Archaeological Museum. 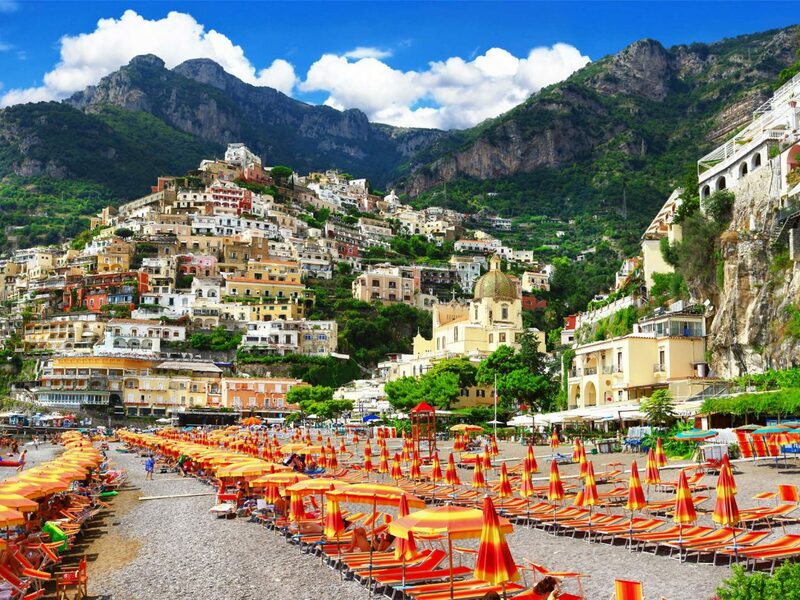 Would you chose Amalfi or Capri? What else would you change on this itinerary? Talk to the team and we will help you plan a trip that fits your expectations and budget!